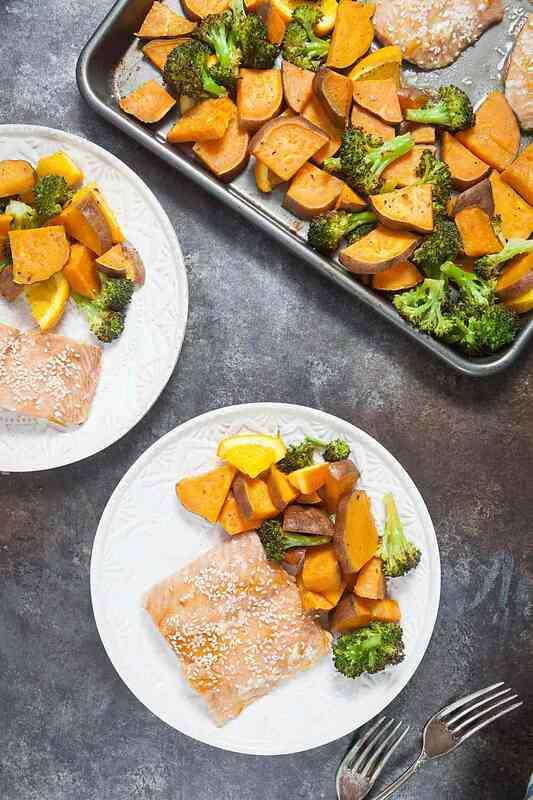 One pan orange salmon with sweet potatoes and broccoli is an easy and nutritious weeknight meal that’s ready in just 20 minutes! I feel like the second the calendar flipped to September, a switch flipped. It’s cold. It’s getting dark early. Fall feels imminent and I’m not ready. Don’t get me wrong – I love fall – but the cooler weather and darker evenings make me so tired. I don’t remember ever swapping the grill for the oven this early in the season, and I’m a little nervous about what winter has in store for us this year. 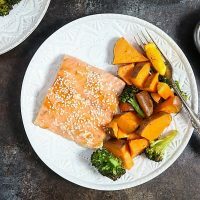 Luckily this one pan orange salmon is easy to throw together and can be made with minimal energy, even on the coldest, darkest nights. Salmon is one of my favorite type of fish, and I especially love how easy it is to roast. It only takes 10 minutes and it almost always comes out succulent and flavorful. This one pan orange glazed salmon is one of my favorite ways to prepare it lately. 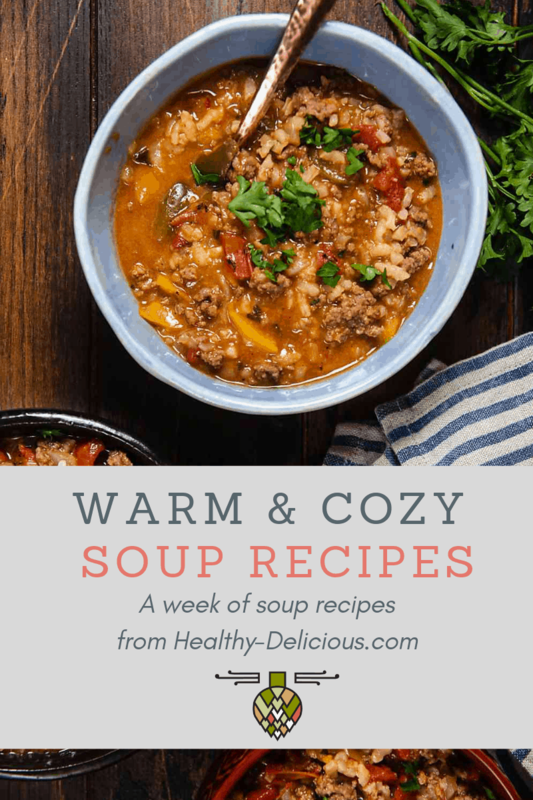 The sweet and spicy flavors go great with sweet potatoes and broccoli, so you can cook everything together for a super easy weeknight meal. I got the inspiration to use orange marmalade on salmon from another one of my favorite recipes, 5 ingredient lemon curd salmon. I love how the lemon curd melts into a delicious glaze while the salmon cooks. 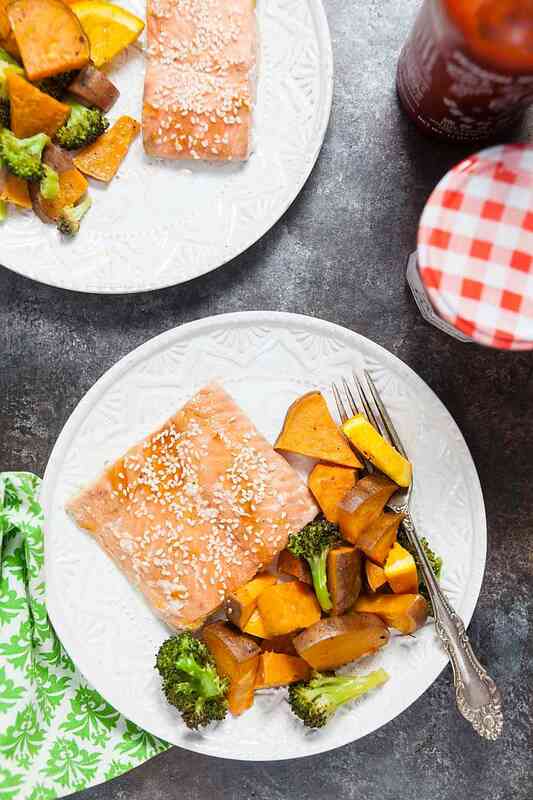 For this Asian-inspired orange version, I swapped the lemon curd out for orange marmalade and added a splash of soy sauce for depth and some sriracha for a little kick. 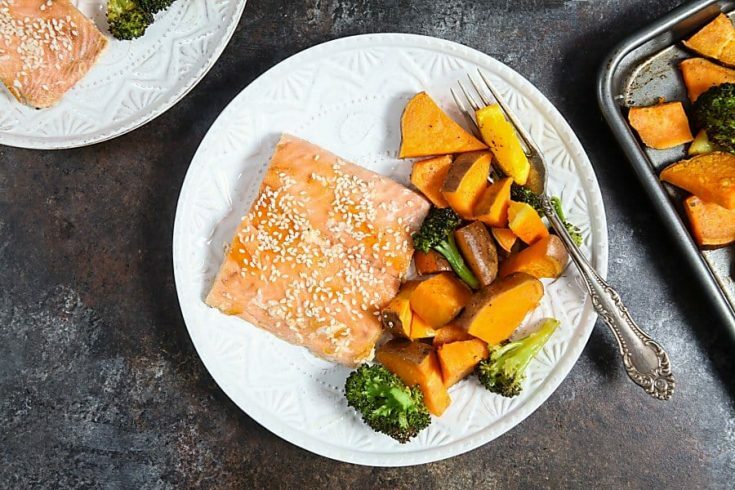 I toss some orange segments in with the sweet potatoes and broccoli while they cook. It subtly flavors them and also creates a steamier environment in the oven that give the potatoes a softer texture (think more baked potato, less oven fries). If you’re not a fan of salmon, this glaze is also great on shrimp. Follow the same instructions, but check them after 6 minutes because they’ll cook a little bit faster than the salmon does. Scrub the sweet potatoes and cut them lengthwise into quarters; slice into 1-inch pieces. But the broccoli into florets. Cut the orange into segments. Arrange the vegetables on a baking sheet and drizzle with olive oil; mix to coat. Season with salt and pepper. Place the orange segments on top of the vegetables. Bake for 10 minutes. 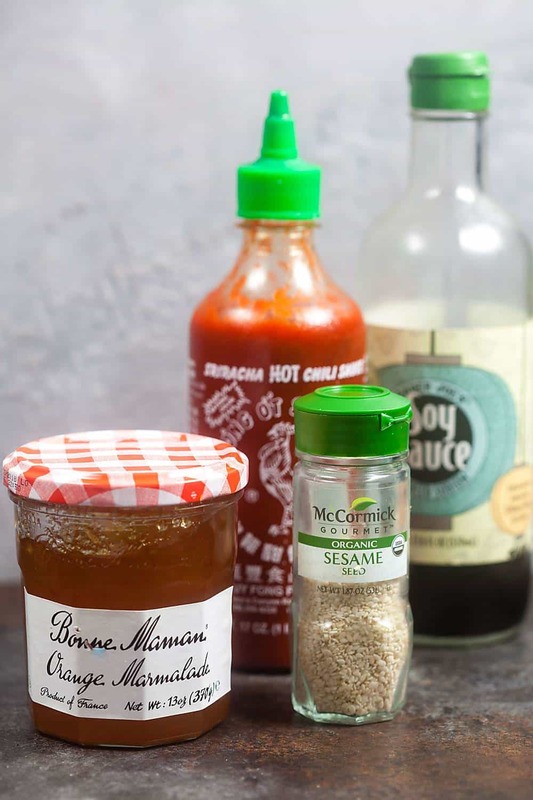 In a small bowl, combine the marmalade, soy sauce, and sriracha. 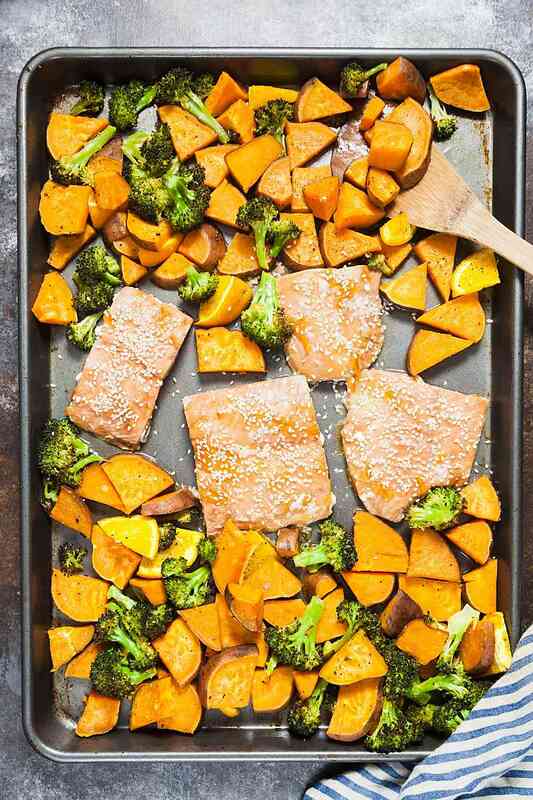 Remove the baking sheet from the oven and push the vegetables to the sides of the pan to make room for the salmon. Place the salmon on the pan and slather each filet with the marmalade glaze. Return the pan to the oven and bake another 10 minutes, or until the salmon is cooked to your liking. Sprinkle the salmon with sesame seeds. Discard the oranges or, if desired, squeeze the juice over everything. 10 min for sweet potatoes? You’re going to be eating rock hard potatoes. 20 minutes! 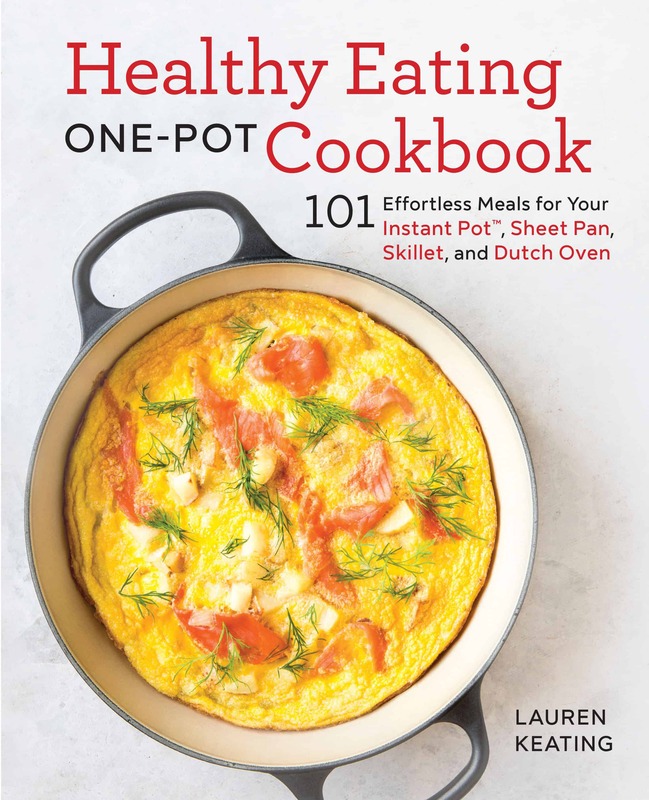 You add the salmon after the first 10, but then everything goes back into the oven to finish cooking together.